While most people start their clean slate right after ringing in a new year, I tend to refocus my energies with the start of the spring season. In order to get more pep in my step and prepare for the impending swimsuit season, I have revamped my food regime. 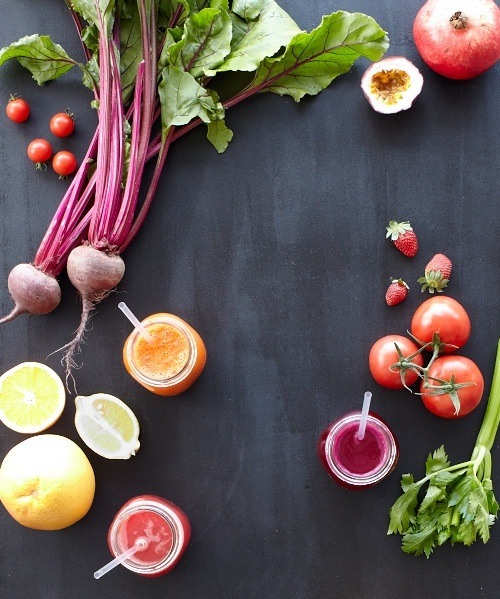 The best part of altering what I eat has been the addition of delightfully invigorating juices. A few of my favorites may sound (sometimes look) unappealing, but they are actually phenomenally tasty. Sweet and spice and all things nice, this delicious mixture will impress your taste buds. Try something different with this vegetable and fruit amalgamation. This interesting mix of fruit and vegetables is vivacious in colour and taste. Try this alone or with a bit of vodka for an adult version of this sweet pink treat. Try experimenting with different fruits and vegetables - anything goes! You can even mix in a little aloe vera juice for added B12 and digestive system benefits.